News 3 years, 5 months ago. Overlooked in the excitement about 51 N High is another significant approval/step in the right direction for affordable downtown living – the Stoddart Block. 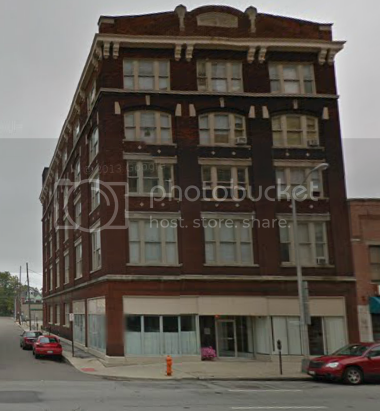 It’s across the alley from 16-bit Arcade Bar, across 4th from the Hartman lofts, and doesn’t involve demolition of the existing building. Seems like a pretty shady place now but the project description looks like it might be cleaned up. Originally constructed as a furniture store, the five-story Stoddart Block now operates as a 52 unit apartment building with first floor commercial and restaurant space. The rehabilitation will retain the current unit configuration, but improve all finishes and fixtures to create small but comfortable micro apartments. I looked that up as well. Not sure if it will be the same management after refurbishment, but here is the current management. I heard some rumors/rumblings about this a few months ago and I was under the impression that it would get completely gutted and redesigned as luxury units, not low-income housing. I might be overly optimistic by assuming “small but comfortable micro apartments” also equals affordable, wishful thinking! A plan to renovate the five-story Stoddart Block building at 260 South Fourth Street was approved at Tuesday’s Downtown Commission meeting. The building currently holds 52 low-income apartments – the new plan would keep the current configuration but upgrade the 300-square foot units into “an affordable, micro-luxury product,” according to developer Brad DeHays. Price point starting at $795 seems a bit steep but I guess they can adjust based on demand. The entity was purchased off of Homeport in May of 2013. There were issues with conditions. Tenants were not displaced. Restrictive covenants were removed. There are 52 units, 37 were occupied. Since when the building was purchased an additional 12 have moved out. Micro apartments on floors 1, 2 and 5 are being renovated – HVAC, bathrooms and kitchens – high end finishes. Very minimal studio apartments priced affordably. Micro apartments are like efficiencies. Micro is less than 300 sf. 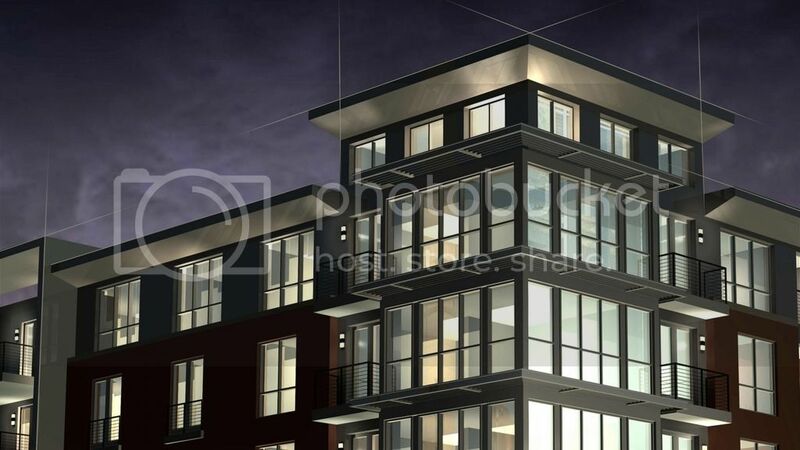 This is not a low income product, it is specifically designed for people who want to be downtown to enjoy the restaurants, parks and entertainment. Downtown workforce can afford and not have to commute. Rent will start out at $795. This is an adaptive reuse of the existing building – the floor plan will not change. Exterior renovations replace all of the windows, (wood) federal and state historic tax credits are being pursued. This was originally a furniture store that was turned into housing a while back (1930’s). The store front will be replaced. There will be a small transom window line above the awning. And bottle glass tile above the opening. There will be a black vinyl awning. Signage will come back when a tenant is identified. There is a conservation easement with Ohio Heritage. Eventually all units will be renovated. $795 for less than 300 sq ft Is a little crazy if you ask me. I understand that less than 300 sq ft is all some people need, but I bet those people don’t want to pay nearly $800 for the privilege. But I guess we’ll see. Late Night Slice has called Columbus Commons home for the past two summer seasons, and is ready for an upgrade in 2015. The popular local pizza shop will make the move from the pop-up shack in the park over to 268 South Fourth Street, the former home of Graham Office Supply. Presently-low-income housing to affordable-luxury = displacement. $800/mo for an apartment that can fit one person, is definitely, definitely, a luxury item. Meanwhile, work has also begun on the new Downtown Late Night Slice restaurant that is coming to 268 South Fourth Street this summer. I dig it. Can’t wait for them to open. 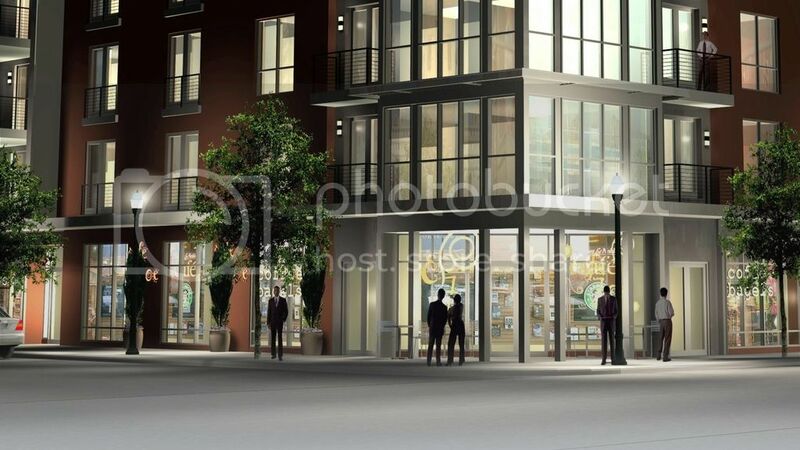 There are some renderings floating around of surface lot next to this building at the corner of 4th and Main but I don’t think I ever ever seen these before. This would really add connectivity to the neighborhood! 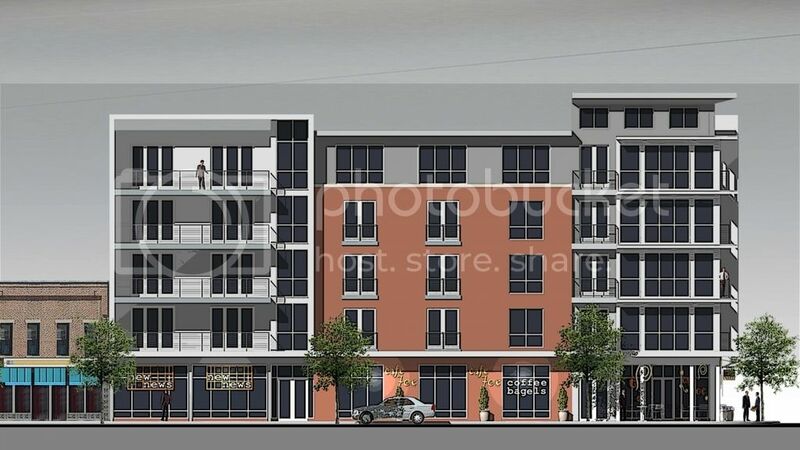 I know there are some renderings of the surface lot next to this building being developed at 4th and Main but I don’t think I ever seen these. Filling in this lot would really help connect this portion of downtown! I don’t remember hearing about anything going up on that corner? Is this project being moved forward or are these just speculative renderings?